For a very long time, homeowners across America bought into the benefits of pressure washing. 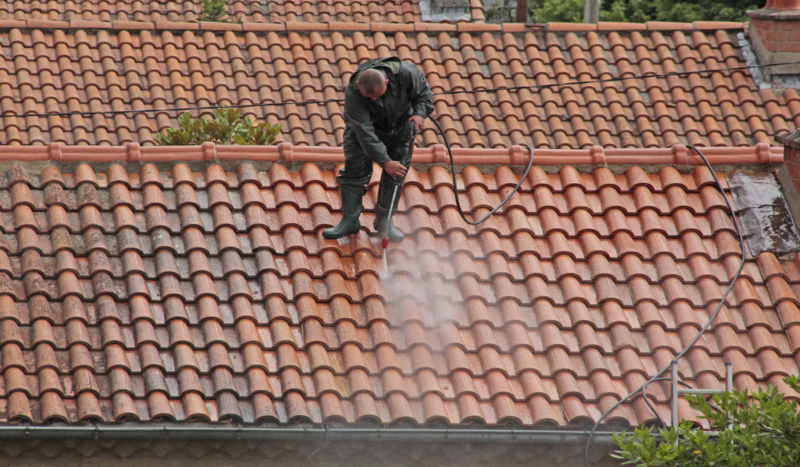 Pressure washing sounded like the fresh and innovative way to get your roof clean and your shingles shining. But years down the line, people began to notice the many problems resulting from pressure washing your roof. Be a smart homeowner and property manager. Before you get lured into the fantastic promises of new cleaning techniques or maintenance innovations, learn more about the process itself. You might be surprised that the very thing that’s supposed to prolong the life of your roof ends up destroying it. Before we explain the reasons why you should not pressure wash your roof, it’s important to understand how pressure washing is done. It would also be beneficial to know how it’s different from other cleaning techniques. High-pressure water spray is used to remove mold, dust, grime, mud, and other types of dirt from the surface of your roof. The high pressure usually leads to immediate and drastic cleaning results. Like other cleaning techniques, pressure washing is designed to remove moss, algae, dirt, and debris from your roofing shingles. While a pressure wash of your roof can leave you with sparkling clean shingles, you’ll also be left with a weaker roof system. This is especially true for asphalt roofing. Pressure washing strips away granules from the shingles, which is problematic. These granules enable your roof to stand against the elements like harsh wind, rain, and sunlight. High-pressure washing systems dislodge these protective granules in large quantities. The damage is barely visible to the naked eye, especially during the first wash, but this damage accumulates over time. The adverse effects of pressure washing are also more visible in older roofing systems, which are already naturally thinner and less granulated. If you have glazing on roof tiles, you’ll find that the color will begin to fade. Aside from the damage it causes, pressure washing might not even be as effective as you think. Only the top layer of algae is removed in pressure washing. You get a clear finish, but the spores remain undisturbed inside the porous tile. The effects of pressure washing will not only harm your roof; it will also put a heavy dent on your pocket. The roof is one of the most expensive parts of your home when it comes to replacement or repair. You also don’t want to suffer the consequences of leaky roofs or exposure to the elements. 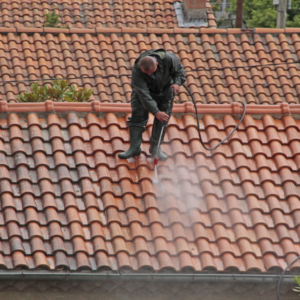 There are gentler and more effective methods of cleaning your roof. You can enjoy the same sparkling and brand new effect with soft wash chemical roof cleaning, which is safe for asphalt, slate, tile, and other roof types. The chemicals are specially designed to kill bacteria, mold, algae, and other unsightly growth. If you’re invested in increasing the curb appeal of your home, you should also invest in educating yourself about roof and home cleaning techniques. The best way to move forward is to hire people who know what they’re doing. Apple Roof Cleaning guarantees safe, non-pressure roof cleaning for any home in Pasco & Pinellas County and surrounding areas. Contact us at 727-277-2524 today!